One of the quickest ways to make money from home is to post ads on online search engines such as Google, Yahoo and MSN. By far the most popular search engine to post ads on is Google. You've probably seen promotions about making money from Google. The advertiser - you - posts an ad on the search engine. You specifies which keywords you want Google to show your ad for. A searcher types the keyword into the search engine and the results come up. On the right hand side Google shows ads for that keyword by advertisers. If the searcher clicks your ad, you pay Google a small fee, usually some cents, and the searcher is taken to your advertised site either via your affiliate link or the site that you specified when making the ad. This type of advertising is called PPC advertising and can be highly profitable once you know what you're doing. PPC, which stands for pay per click is a paid form of advertising for your affiliate promotions and has its advantages and disadvantages. Although you don't need money to make money online, PPC requires that you have a budget which doesn't necessarily have to be huge. 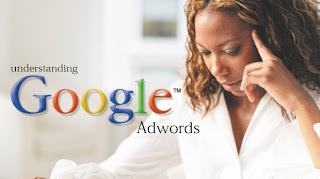 You can open a Google Adwords account with only $5. You can get visitors to your site very fast ie. in as little as 15 minutes. Once your ad is making money at a profitable rate you can run the campaign almost on autopilot. Posting search engine ads is more predicatable than other forms of advertising. Google is usually picky about what you should have on your website. If you aren't careful you can blow your budget without making a profit or sale. You need to know exactly what you're doing before you attempt to have your ad go live. Posting search engine ads can be fun once you know what you're doing and can make you a lot of money in a short space of time. Its not uncommon to see people make $300 and $400 per day although I know some guys who make thousands per day but these guys usually have big budgets. If you would like to learn more about PPC and posting search engine ads here are some resources that can help you. Some are free and some are paid but as always I do recommend Wealthy Affiliate. 1. Google Adwords Learning Center - This is Google's own free resource for persons who wish to learn how to post ads on their search engine. I highly recommend you spend some time in here to familiarize yourself with they system. 2. Beating Adwords - This is one of the best books ever written on the subject of using Google to post ads but you can get it free by signing up to Wealthy Affiliate using this link. 3. Wealthy Affiliate - offers an accreditation course in PPC. The guys who run WA are also the writers of Beating Adwords - experts who can turn you from clueless to making money posting search engine ads.